Dr. Pradeep Chowbey belongs to the cadre of the pioneer laparoscopic surgeons in India. He has graphed his career with singular determination to develop, evaluate and propagate Minimal Access, Metabolic & Bariatric Surgery in India. The advent of Laparoscopic surgery with his hands became a point in India's medical history. 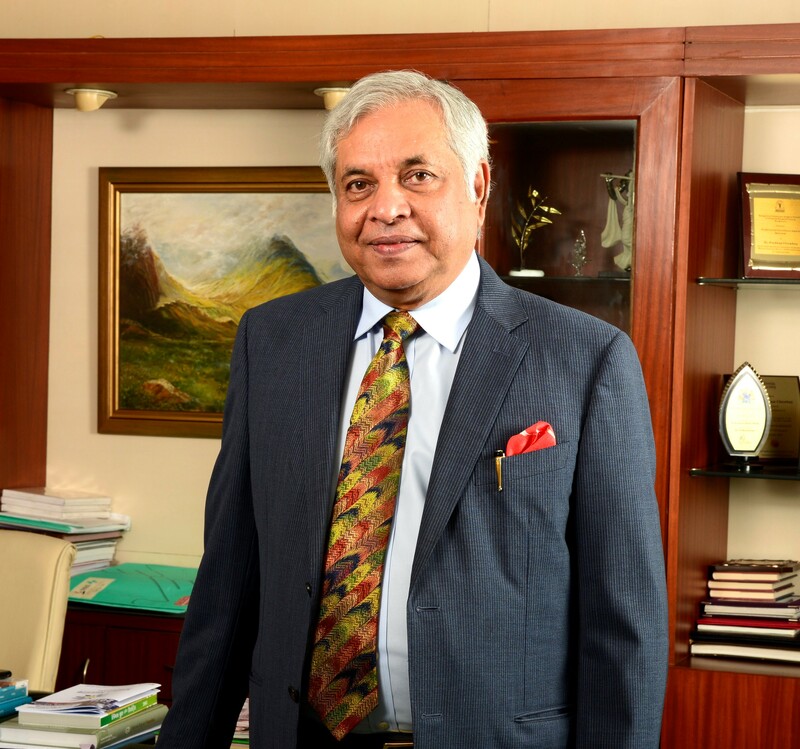 Dr. Chowbey established the Minimal Access and Bariatric Surgery Centre, Sir Ganga Ram Hospital, New Delhi in 1996, which was the first of its kind in the Asian subcontinent. At present, he is the Chairman, Max Institute of Minimal Access, Metabolic & Bariatric Surgery, Max Hospital Saket, Delhi. Dr Chowbey has pioneered, introduced and nurtured most of the advances in minimal access surgery in India. He has been instrumental in training and teaching surgeons with these advanced skills to popularize the minimally invasive surgery techniques. He has been representing India in various national and international scientific forums since more than three decades. 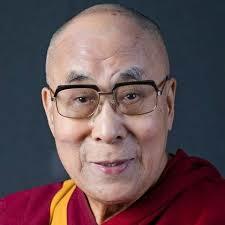 He was the first to perform MAFT (Minimally Invasive Fistula Technology) in Asia Pacific Region. He adopted and popularized method of performing Endoscopic Hernia Repair (TEP) that is well accepted globally and is gaining popularity. He also pioneered a novel endoscopic approach for thyroid and parathyroid and popularized the concept of “scarless neck surgery”. Honorary membership of Association of Minimal Access surgeons of India. His Biography has been published in the Obesity Surgery Journal (the official journal of International Federation of Obesity and Metabolic Disorders) in April 2016. 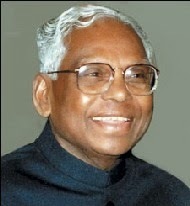 Dr Chowbey formulated the Minimal Access Surgery - Guidelines and Recommendations that were released by the Hon'ble President of India Dr KR Narayanan at Rashtrapati Bhavan in July 2002. Dr Chowbey is currently chairing the revision update of the Minimal Access Surgery Guidelines and recommendations which will be released soon. He also formulated the “Worldwide Guidelines for Groin hernia management” in 2016, Holland. He is a steering committee member currently working on formulating Worldwide HerniaSurge Guidelines. He with other experts formulated guidelines for Metabolic & Obesity (MOSI) surgery in Nov. 2008 and December 2010. He has authored 200 original scientific papers in international and national indexed journals and contributed chapters for various Text / Reference books including the prestigious publications like Springer, Jaypee, Elsevier. He is the Editor of various textbooks nationally and internationally. Chapter ‘Parietal Disaster’ in textbook “The Art of Hernia Surgery- A step by step guide” (2018), published by Springer, Switzerland. Four chapters- ‘Technique Total extraperitoneal patch plasty (TEP) Standard technique and specific risks’ , ‘Technique TEP: Complications, prevention, education and preferences’, ‘Complex ventral and incisional ‘, ‘Complex Hiatal hernias’, in textbook Laparo-endoscopic Hernia Surgery- Evidence based clinical practice” (2018) , published by Springer, Germany. Two chapters- ‘Laparoscopic Roux en Y Gastric Bypass’, ‘Revision Bariatric Surgery’ in textbook, 4th Edition “Comprehensive Laparoscopic Surgery” textbook by the Indian Association of Gastrointestinal Endosurgeons, (2018) , published by Academic publishers, India. Chapter- ‘Laparoscopic Roux- en- Y Hepaticojejunostomy’ in International Atlas of Laparoscopic Hepat-Pancreato-Biliary Surgery- “Laparoscopic Roux-en-Y Hepaticojejunostomy”(2015), published by Cine Med Publishers, United States. Chapter ‘Laparoscopic Interventions for Benign Conditions at the Lower Esophagus’. Ed. Pradeep Chowbey. ECAB Clinical Update: Surgical Gastroenterology and Liver Transplantation. Pub Elsevier, New Delhi 2011. Chapter ‘Surgical Therapies in Management of Obesity and Metabolic Syndrome’ in textbook Recent Advances in metabolic Syndrome II. Pub Elsevier,New Delhi 2011. Chapter ‘Obesity – Indian Perspective and scope of Metabolic / Bariatric Surgery’ in textbook Essentials of Bariatric & Metabolic Surgery. Compiled by ILS Hospital, Kolkatta 2010. Chapter ‘Laparoscopic Management of Large Hiatus Hernia’ in textbook Recent Advances in Surgery. Pub Jaypee. Volume 12, 2009. Chapter ‘Hand Instruments in Laparoscopy’. In Laparoscopic Surgery: Instruments & Equipments. Compiled by ILS Multispeciality Clinic, First Edition, 2006. Chapter ‘Metabolic Syndrome - Surgical Management’ Ed. Roshan Lall Gupta. Recent Advances in Surgery. Pub: Volume 11, 2006. Center of excellence accreditation in Hernia surgery by Surgical review Corporation, USA (2014). The center is also recognized and acknowledged as a Global Centre of Excellence in the field of Endosurgery. 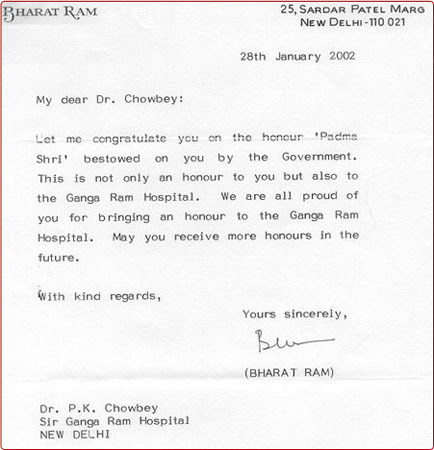 Dr Chowbey has had the honour of operating on His Excellency Shri K R Narayanan former President of India for gall bladder surgery (March 29, 2001), His Holiness Dalai Lama for gall bladder surgery (October 10, 2008). With over 78000 surgeries to his credit he is featured in the Guinness Book of Records 1997 and Limca Book of Records 2000 – 2018 (consecutive years) as the first Endoscopic surgeon performing most number of minimal access surgeries. He operated on the World’s heaviest teenager (BMI 92kg/m2) in April 2018. Awarded Gold Medal by Indian Medical Association as “Young Investigator of India 95”. Arya award for most compassionate doctor in 1977. Dr. Pradeep Chowbey, away from the work, loves spending time in the company of artist friends and people from the art & literary circles of the country. He is passionate about art which is clearly reflected by his collection of works of some of the finest artists in the world including M.F. Hussain and S.H. Raza. He is also a pilot and a golfer and believes in living life to the fullest. Dr. Pradeep Chowbey’s personal attributes of sobriety, humbleness, kindness and amity, coupled with his solid professional competence mark him out as an extraordinary personality.